Why are Personalized Plaques Better Gifts? Christmas Day, a time for celebrating your relationships with friends and loved ones. It's a special time of the year where you get the opportunity to be close to those you love and to show them how much you appreciate them. A major part of this celebration is the honored tradition of gift-giving. We all want to make sure that the people who we give our gifts to love them, but despite our best efforts, we have all given that "dud" present. You know the one, that present that as soon as the recipient opens it up, the look on their face tells you "this is getting returned as soon as the store opens in the morning." Whether that gift is an extra pair of socks, a tie, or even a hideously expensive but gaudy watch, it's an embarrassing situation for all concerned. There's an awkward silence as the gift-taker tries to hide their disappointment and you abashedly try to avoid eye contact. After that intensely uncomfortable silence, the age-old death sentence of the bad gift is finally uttered: "Well, it's the thought that counts." As anyone who has ever heard that phrase come from the mouth of their loved ones can attest, that is usually proof positive that the gift demonstrates a distinct lack of thought insofar as the recipient is concerned. The thing about that clichéd old saying is, it's absolutely true. The main problem with a lot of the classic bad holiday gifts is that they do not take into account the recipient. Instead, the typical bad gifts are often the result of rushed, last-minute, poorly-planned efforts to make sure that something was given. 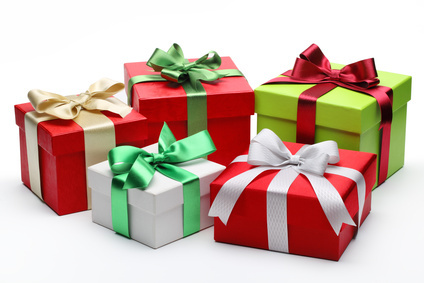 Consumer psychologist Kit Yarrow actually wrote an article for Time magazine's Business & Money section that identified six different categories of bad gifts: all about me gifts, obvious re-gifts, statement gifts, misfires, passive-aggressive gifts, and non-gifts. Nobody likes getting a secondhand gift that was obviously meant for someone else, like a ring engraved with someone else's name, or a gift that could be interpreted as an insult, such as a diet cookbook. Such "gifts" are offensive at the best of times, and are potential relationship-killers at the worst of times. Hopefully, you want to give a better gift, one that demonstrates that you have put a lot of thought, effort, and time into planning your gift and that you care enough about them to make an honest effort and plan ahead instead of waiting until the last second. A personalized plaque is the perfect gift to demonstrate how much you care. Because a personalized plaque represents your relationship with the recipient. With a custom-made plaque about the person, their accomplishments or even just a photo from a fondly remembered event, you are giving them a personal gift that reflects your unique understanding of that person and your relationship to them. A plaque emblazoned with an article about the recipient can be a prized trophy for them to show off for years. Not only do personalized article plaques show off the achievements of the person who you are giving the plaque to, but the plaque protects the article from the elements. Each article will be rendered immune to yellowing, cracking, and tearing for years to come because they will be sealed within the plaque itself. Of course, not every plaque has to be based around an article, if you have a photo of the person you want to make a plaque for, you can create a personalized plaque using that. It makes for the perfect gift that reminds the recipient of the bond you share. From traditional wood plaques to sleek and modern crystalline acrylic plaques, you can create a personalized gift that speaks to your knowledge of the tastes of the person being given the gift. Best of all, you know that the gift you are giving will be specific to the person you made it for. They will know that you took to the time and effort to make something truly special just for them. As the old saying goes "It's the thought that counts." With a custom plaque, you are proving that you put legitimate thought in choosing a gift that is meaningful and relevant to the person being gifted. If you would like to create a custom plaque for someone special in your life, try out our custom plaque creation process today. Stand out this holiday season with the gift that will keep on giving for years to come.